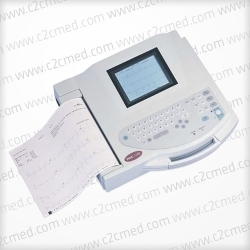 The GE Marquette Mac 1200 Resting ECG System offers a comprehensive solution, complete with the practical features clinicians at smaller hospitals, clinics and physician offices appreciate. 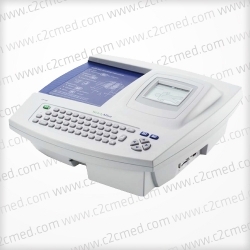 The GE Marquette Mac 1200 Resting ECG System offers a comprehensive solution, complete with the practical features clinicians at smaller hospitals, clinics and physician offices appreciate. 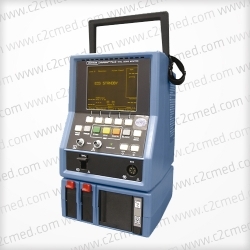 The MAC 1200 is a compact 12-lead electrocardiograph designed for acquisition – with or without analysis. 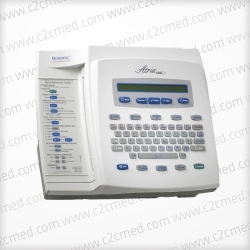 The system can be configured as a basic electrocardiograph without analysis for facilities with minimal ECG requirements. 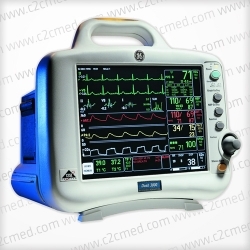 The system can also be configured to incorporate the proven 12SLTM ECG analysis program. Adding the 12SLTM program creates an electrocardiograph with the industry leading interpretation program and measurements. If your facility only requires measurements, we offer a version with 12SLTM measurements only. To assure the highest possible standards in quality and continuity of care, many clinicians are looking for ways to integrate their ECG data with data from affiliated healthcare systems. All models include: printed measurement and starter kit (Silver Mactrode Plus electrodes, alligator clip adapters, banana connectors, paper, patient cable, patient leadwires, and power cord).